There’s a stone wall of sorts near the top of our country lane. People don’t know if it’s coming or going unless they visited here 10 years ago. That was about the time we returned from a vacation trip and decided to build a dry-stacked wall like the thousands we’d seen. 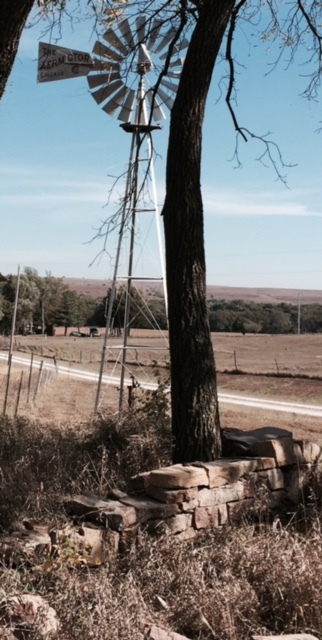 We live on a rocky hill with an old foundation at its north base, so it seemed plausible. But today, there is only a partial wall, a poor start to a section of limestone fence. Mostly it’s a metaphor to show what happens if you spend time and effort on something when you don’t have a complete plan. Stephen Covey famously advised “beginning with the end in mind,” which turns out to be applicable to everything from a life’s work to a side project. In the fall harvest season, celebrated since the dawn of time, it’s easy to think about the planning that went into growing crops. Machinery had to be fine-tuned, soil tested and worked, seed planted and seedlings nurtured in their fields as they grew to maturity. Harvest brings a sense of closure, though marketing issues likely remain. 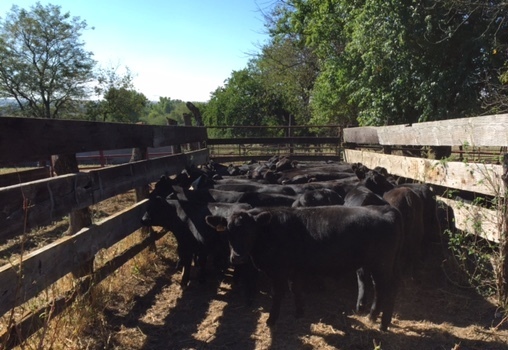 Many of us are weaning spring calves, which is a kind of harvest, especially if we’re selling. Of course, this year the price fell faster than the leaves on pasture trees, and made many of us wish we had put a floor under the market. That crash brought a realization that such a steep price decline was not the end we had in mind. But there may yet be options not directly tied to the futures market, thanks to the flexible nature of the cattle business. We might be able to wean and precondition calves or retain ownership at a custom feedlot, now that most analysts see little additional downside risk. Meanwhile, the fall brings other management chores that bring us back to the plan. Pregnancy exams, booster shots and scours vaccines remind us of the bulls we used and when next year’s calves will arrive. Bull sale catalogs have us shopping for genetics that can help put the capstone on our herd, which has come along pretty much according to plan while the stone-pile wall languished. We’ve built in calving ease and quality as we added growth, always with the end in mind. This beef cattle production and supply chain grew into an industry of interconnected communities, with a few less operators now, but more of them getting herds in line to build demand as strong and lasting as a well-planned stone wall. As it expands now, its component parts are more intent on the end product than ever before. We’ve worked according to plan with our cow herd, if not the would-be wall. That’s only because we judged one endeavor much more important and worthy of focus. But another proverb says anything worth doing is worth doing right. So this fall, with calves in the backgrounding lot and the keeper cows on fall pasture, we’ll set and plumb the batter boards where the ideal wall should be, tie on some guidelines and follow a plan to build something else that will last.